A creative exploration using a combination of body disciplines to investigate the influences of the 3 elements Earth, Air and Water on our moving bodies. By consciously experiencing the coexisting forces induced by these 3 elements, we shall use their specific properties to develop our movement qualities and integrate them in the refinement of a dance form. Shifting back and forth from the dance hall to the warm pool, we will use a personal approach to movement encompassing Contact Improvisation, water work, dance, Qi Qong, Yoga and meditation to experiment various ways to evolve on land and in the fluid element, above and below the water line. The proposal invites the participants to nurture a space of presence to enter a subtle journey of interactions in a sensitive group dynamic. 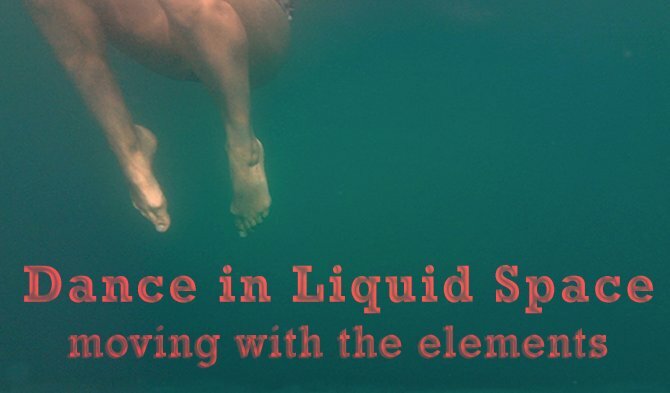 The Dance in liquid space, moving with the elements project is born out of the collaboration of the dancer Yanaël Plumet and Water Therapist Sophie Costes to share with complementary skills their common passion for the moving body in relation to its environment.